In the wake of his mother’s death, Derek learns that home is where the hell is. Despondent over missing her funeral and shunned by his father because of it, Sideways reunites with his best friend Ernie for some heart-to-heart talk. Her family life is in shambles, too, as Derek learns her folks are divorcing and splitting up the family. 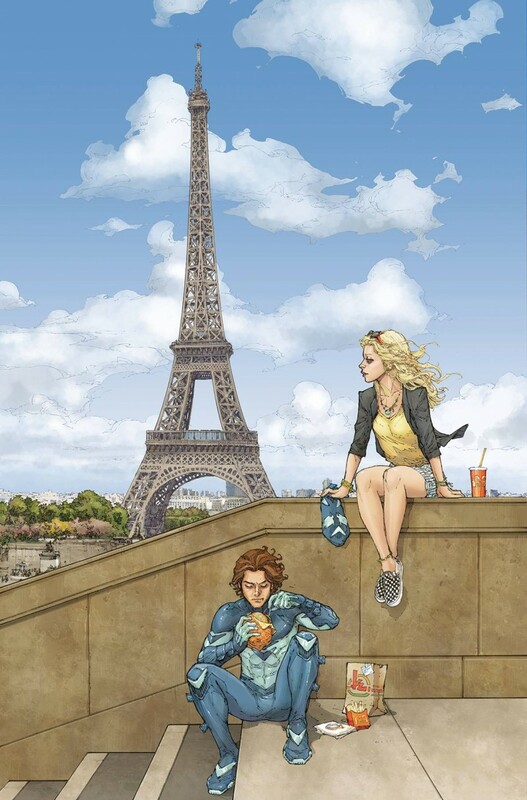 The heartbreak prompts them to take a quick jaunt to Paris, where Sideways ends up getting called into action because of a terrorist attack. A hero in France but a pariah at home, Sideways ponders his future-but he may not have much future left, as Dark Star Sciences boss Leto learns he’s back and dispatches super-assassin Bolt to capture him. Maybe stay in Paris for another croissant instead?